Located on the western slope of Teton Pass, the Mike Harris Campground can be found just across the state border in Idaho. A scenic drive away from the Moose Entrance of Grand Teton National Park, the Mike Harris Campground delivers even easier access to the surrounding Caribou-Targhee National Forest. Best suited for tent camping and car trailers, the 12 non-electric campsites share access to vault toilets and drinking water, and every campsite comes with a picnic table, fire-ring, and food storage box. Every visitor to Mike Harris also shares access to the scenic Mikesell Canyon multi-use trail, as well as trout fishing in nearby Trail Creek. 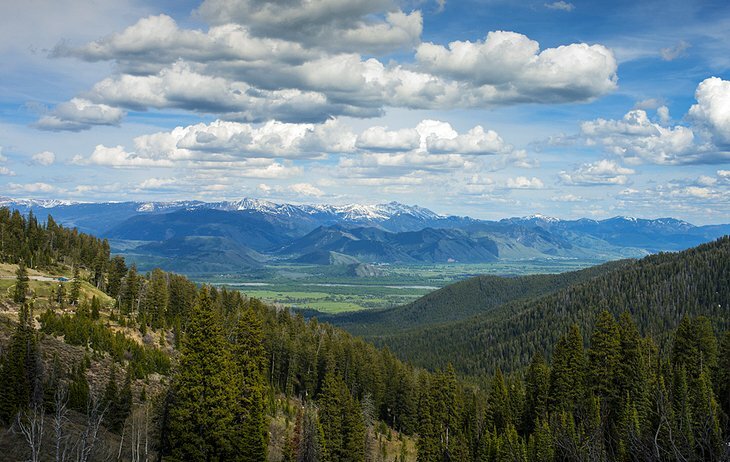 When it comes time to explore Grand Teton National Park from the Mike Harris Campground, the 22-mile drive over Teton Pass will test your brake pads and deliver an alluring view of what you’re about to explore.